This project consists of the renovation into condominiums and addition to 2 historic buildings in a small downtown setting. An existing 1-story studio building anchors the corner of a lot at the transition from the commercially-zoned area to the residentially-zoned area. 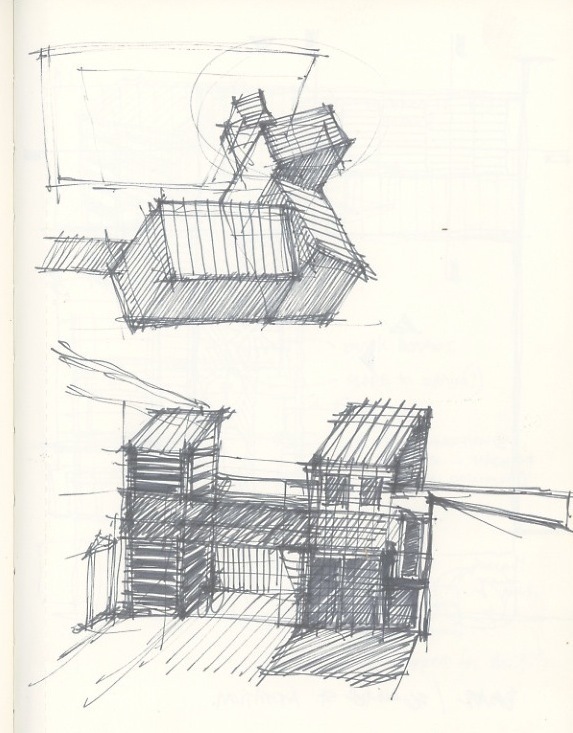 The design solution for the addition created 3 stepped volumes onto the original building, stepping-down and creating a private courtyard - much like an urban interior courtyard while dissipating the building massing as it transitions towards the residential area. 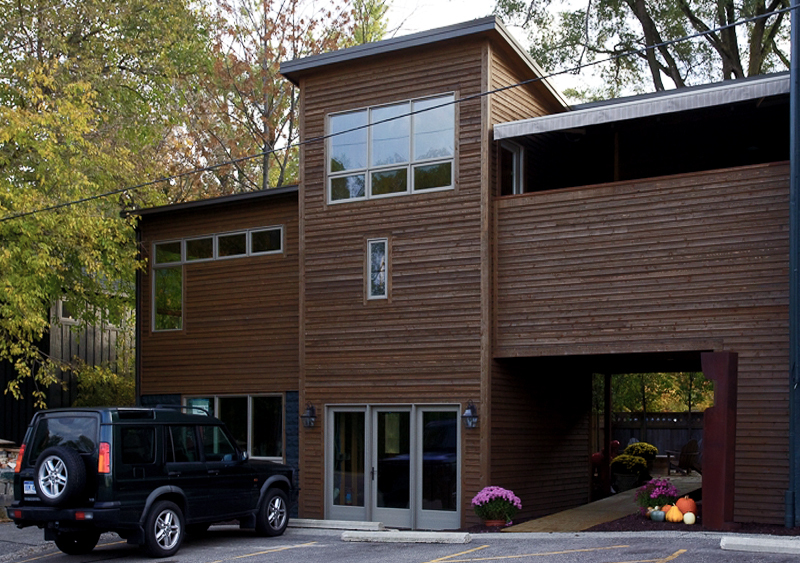 In a further effort to transition to residential, natural cedar lapped siding was used, representing a warmer and less commercial feeling, and the masonry portion of the existing building was painted. 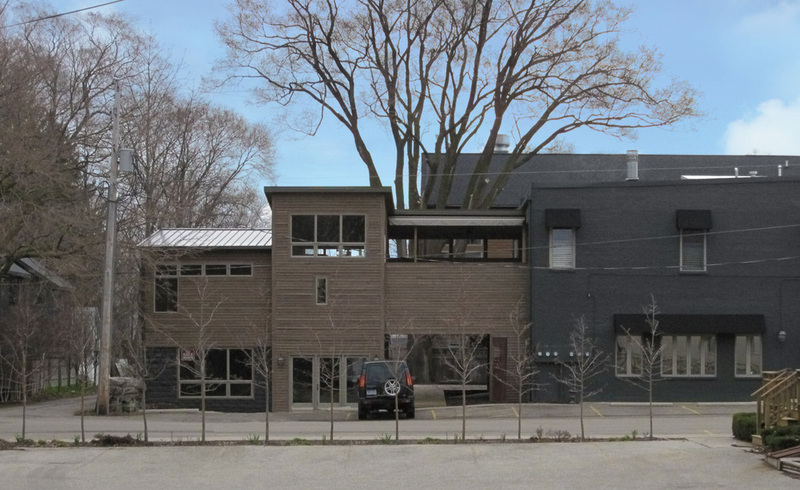 A separate phased scope included the the interior renovation of the existing second floor converting into and creating 3 distinctive 1-bedroom condominiums. Existing brick walls and exposed roof framing are highlighted and skylights were added to capture light at interior spaces.